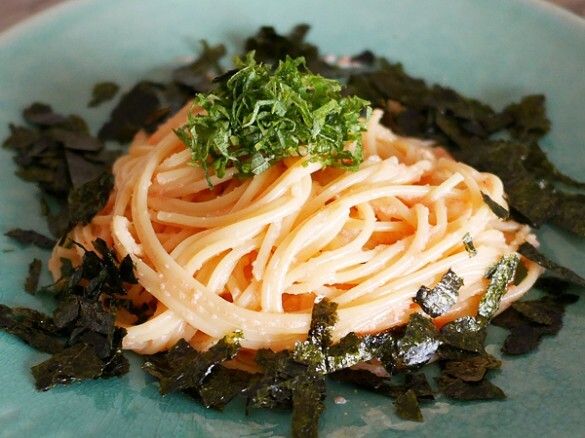 Tarako spaghetti is the most common Japanese-style pasta dish. 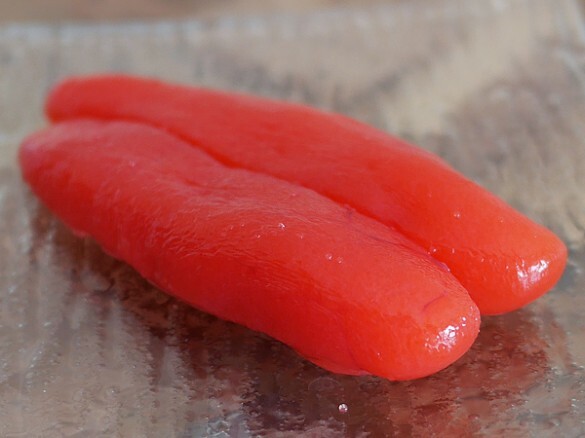 Tarako is made by pickling the roe of the Alaska pollack (also known as walleye pollack) in salt and other seasonings and pasta made with this salted roe has been tremendously popular for decades. In fact, tarako sauce is said to be the best-selling ready-made pasta sauce in Japan. The main ingredients are tarako, soy sauce, butter, nori (laver), and shiso (perilla leaf). Although the method itself is very simple, it can be tricky to perfect, as you need to ensure that it’s neither too salty nor dry and grainy. Accordingly, I’d like to highlight three tips for making tasty tarako spaghetti. (1) Boil the konbu (kelp) along with the pastaBoiling the pasta in a konbu stock will thoroughly infuse it with umami, giving it a greater depth of flavor. (2) Boil the pasta for 1 minute longer than normalIf there is only a small amount of pasta sauce, pasta that is only al dente will absorb extra moisture as time passes, making it stodgy. A slightly longer boiling time will ensure that the pasta stays springy and tender, making the overall taste smoother. (3) Use mayonnaise rather than butterThere’s a tendency to think that you have to use butter with tarako, but mayonnaise is actually better for eliminating the fishy smell of fish roe and making the flavor richer.